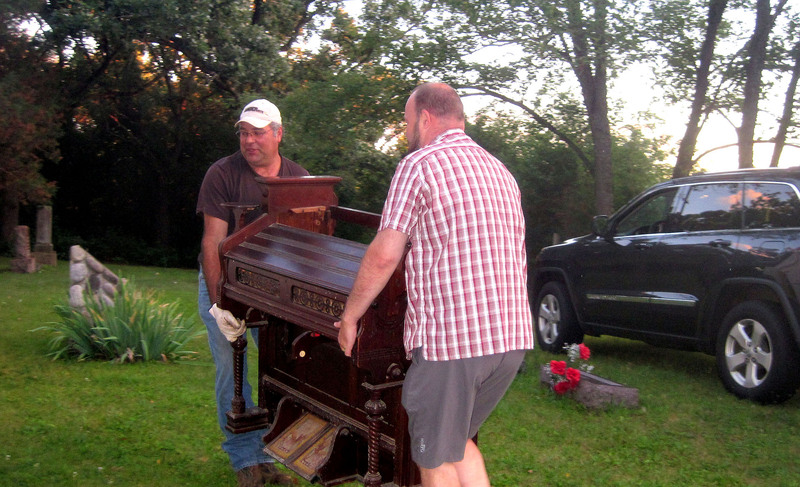 Thanks to a generous donation from the Bethel United Methodist Church of Elkhorn, Wisconsin, the Norwegian-American Methodist-Episcopal Church at East Richmond Cemetery now has an antique organ. It was delivered on Tuesday, August 12th. Built around 1865, it is an Estey pump organ that fits perfectly in this historic church. At present the organ is in need of some repair. Any assistance from someone familiar with these instruments would be much appreciated. In the photos below Wally McManaway and Steve Wade are shown delivering the organ to the church. 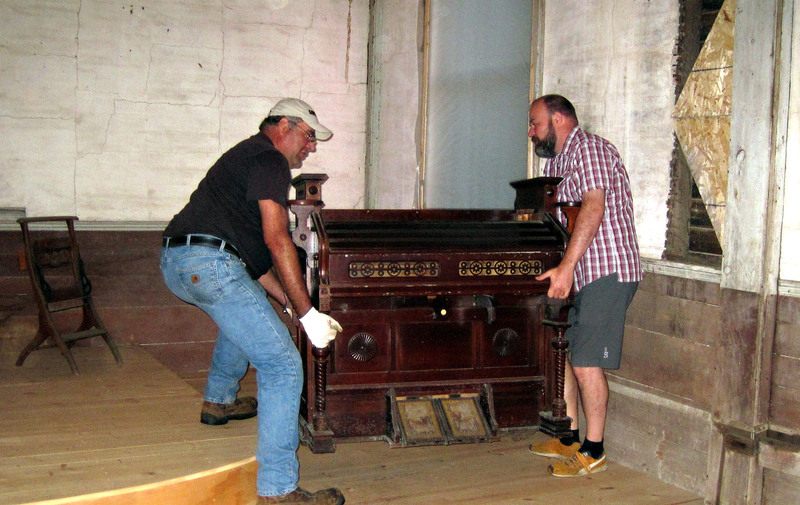 Wally McManaway and Steve Wade deliver an 1865 vintage Estey pump organ to the church at East Richmond Cemetery. This entry was tagged Bethel United Methodist Church of Elkhorn, East Richmond Cemetery, Estey pump organ, Norwegian-American Methodist-Episcopal Church. Bookmark the permalink. Enter your email address to follow this site and receive notifications of news and upcoming events by email.